The children’s opera Brundibár is a fairytale with a fairly familiar message: good triumphs over evil. But place the work in the context of Theresienstadt, the Nazi concentration camp in Czechoslovakia where it was performed between 1943 and 1944, and that message is thrown into much sharper relief. The resemblance to Hitler of Brundibár, the evil organ-grinder who claims the town square as his own, was obvious to adult audiences. But not, insists its lead singer, to its cast. When she was 13, concentration camp prisoner Greta Klingsberg was thrilled to be cast as the lead in an opera – even though her audience were SS guards. 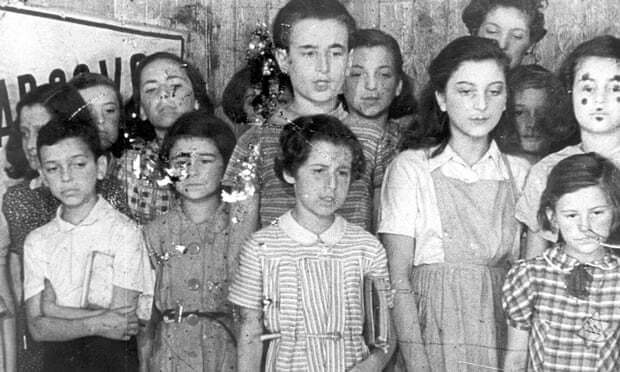 The opera provided a fantasy world for the children of Theresienstadt, even if the camp’s cultural life – due to the high number of prominent artists from central Europe imprisoned there – was cynically promoted by the Nazis for propaganda purposes. Having been chosen for the part because of her perfect pitch, and having already proved herself in other productions in the camp of Verdi’s Requiem, Smetana’s The Bartered Bride and Mozart’s The Magic Flute, Klingsberg performed it more than 50 times. There was a special show in 1944 for gullible representatives of the Red Cross who came to investigate the camp’s living conditions. Theresienstadt was turned into a “Potemkin village” for the visit, the most ailing prisoners having been deported to Auschwitz beforehand to reduce overcrowding. The Red Cross believed everything they were told and, on the back of their visit, a propaganda film was made called The Führer Gives the Jews a City, in which Klingsberg also featured – a tall pensive girl in a pinafore with a mane of dark hair, singing her heart out. She remembers all the children being told to recite the line: “Uncle Rahm, sardines again? !” Rahm was their SS custodian. “I don’t know why – probably to show that we couldn’t have had it that bad if we were complaining about food.” The relish and speed with which the cast downed the sandwiches they had been given for the filming might have been comical were it not such a poignant reminder of how they were being starved. “We ate them so fast that they had to give us more, because they couldn’t film as fast as we ate. It was luxury – bread and margarine – out of the blue”. Hope for more of the same kind of treatment was short-lived because, immediately after filming, all the cast and crew were loaded on to cattle trains and deported to Auschwitz. Most of the children, the musicians, the composer Krása and his director Kurt Gerron, were gassed. In the random selection process, Klingsberg was chosen for slave labour; her sister Trude, for death in the gas chambers, though she only discovered this much later. 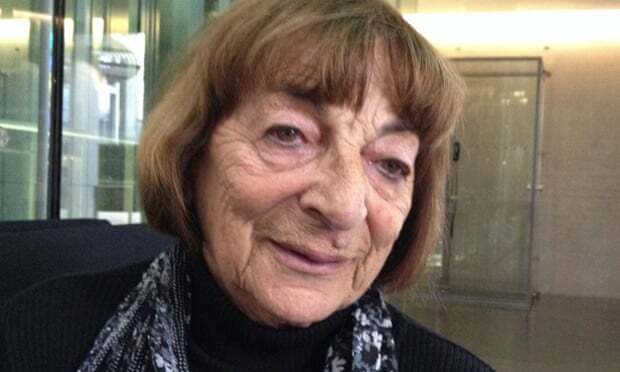 Klingsberg spent months in a series of camps before being returned to Theresienstadt, where she was liberated by the Soviet army in May 1945.